I have a special soft spot in my heart for Winterlude. 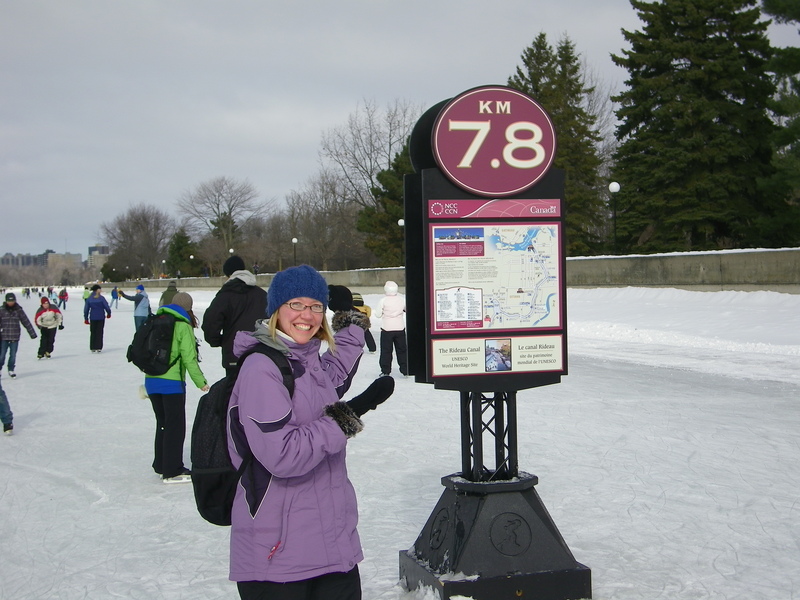 Which is appropriate because this year, well, Winterlude was a little soft. It wasn’t their fault, though. I blame Mother Nature, who chose the worst possible time to inflict a 10 degree temperature spell in southern Ontario: during the last weekend of the Winterlude festival, which also coincided with the insanely busy Family Day long weekend. Trekking to the nation’s capital for the February holiday has become a bit of an annual tradition for Stefan and me. I am someone who dreads the winter season every year, but Winterlude is the one time where I embrace the cold wholeheartedly. Canal skating! 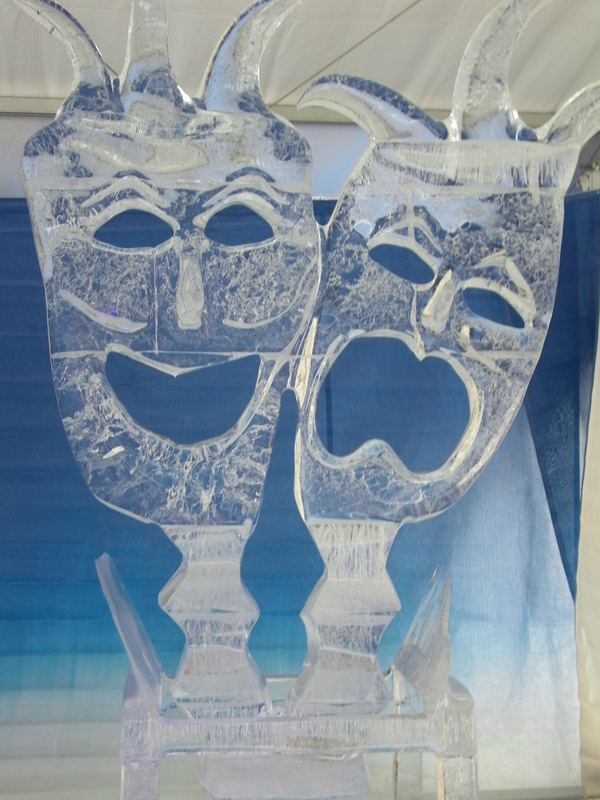 Ice sculptures! Snow mazes! Maple snow taffy! Yeah, none of these things can happen when it’s warm enough to walk around without a coat on. We made the trip anyway, this time with friends Shannon and Dean, and our hopes for a cold front were eventually met. We arrived in spring-like temperatures, dropped our bags off at the hotel, and stepped back outside into a full-blown blizzard. Winds whipping, snow and sleet falling, and a bone-numbing chill in the air. Yes, winter had returned in the span of 15 minutes and a wintery Winterlude was on its way. I’ve said before that I don’t stay in expensive or fancy hotels, that those types of places just aren’t my thing. Well, I lied. 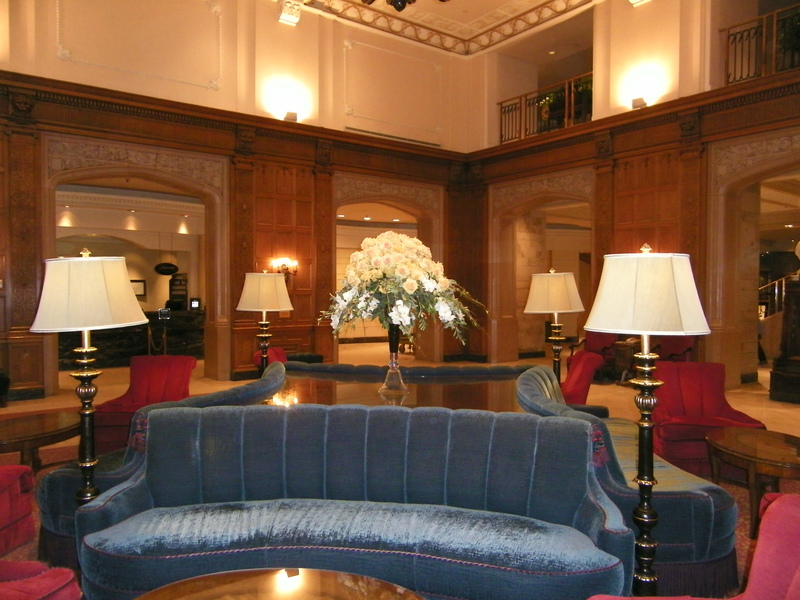 We stayed in none other than the Fairmont Chateau Laurier. Apparently, I do do chi-chi. In my defence, we got a great deal, which is the only way I could have considered staying at the Laurier. And I had to stay; it’s a place that has tempted me since I was a little girl. 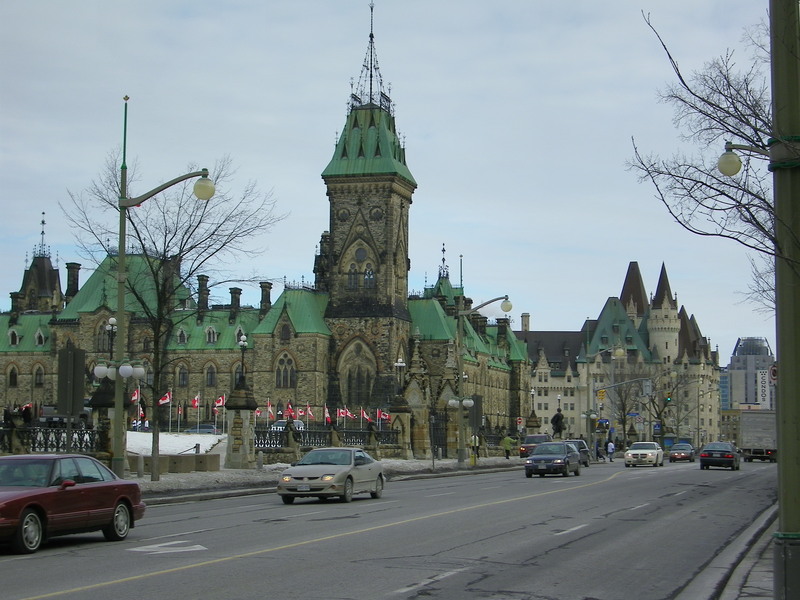 I remember travelling to Ottawa on a family vacation and standing outside the Laurier, thinking it looked like a princess’s castle. 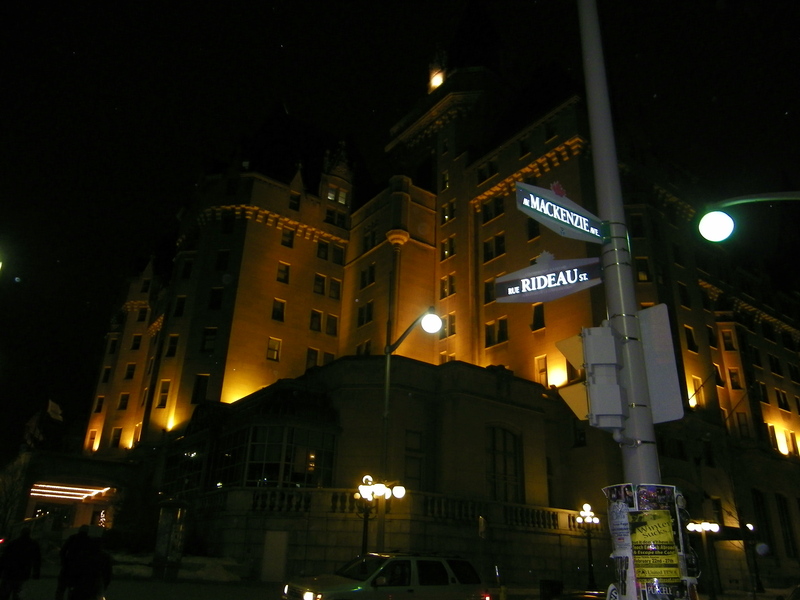 I vowed that I would stay in it one day, just once, and when I saw the hotel had a Winterlude one-night-free package, I jumped at the chance to live out my childhood fantasy. The Laurier is a stunning building with an incredibly rich history, but, sadly, it didn’t make for the best hotel experience I’ve ever had. For one thing, the walls are paper-thin (understandable, given the age of the building). This wouldn’t be so bad if we didn’t have to listen to our neighbours on one side having, um, “relations” and our neighbours on the other side yakking well until 3 am. But, like I said, it’s a flaw I was willing to ignore in the name of sleeping in a bona fide heritage site. But then there were other glitches, too. Like the pool. I have waited in line at clubs, at restaurants, and at theme parks. However, up until the Laurier, I have never been put on a waiting list to go swimming. I do realize this is what happens when you jam a hotel with families during a festival on one of the busiest weekends of the year, but it was still a downer. When we ventured to the pool area, eager for a relaxing swim after wandering in the cold all day, it was disheartening to see a dozen people loitering in the pool foyer, waiting for their turn to take a dip. Despite the flaws, am I happy I stayed there? Absolutely. It was great to sleep within the walls of such a landmark – a hotel where Queen Elizabeth, Nelson Mandela, and the Dalai Lama have stayed, whose roots are closely intertwined with the sinking of the Titanic (Charles Melville Hays, who commissioned the construction of the hotel, perished in the Titanic disaster while on his way home from Europe two weeks before the grand opening of the Laurier), and that has become a symbol of Ottawa. 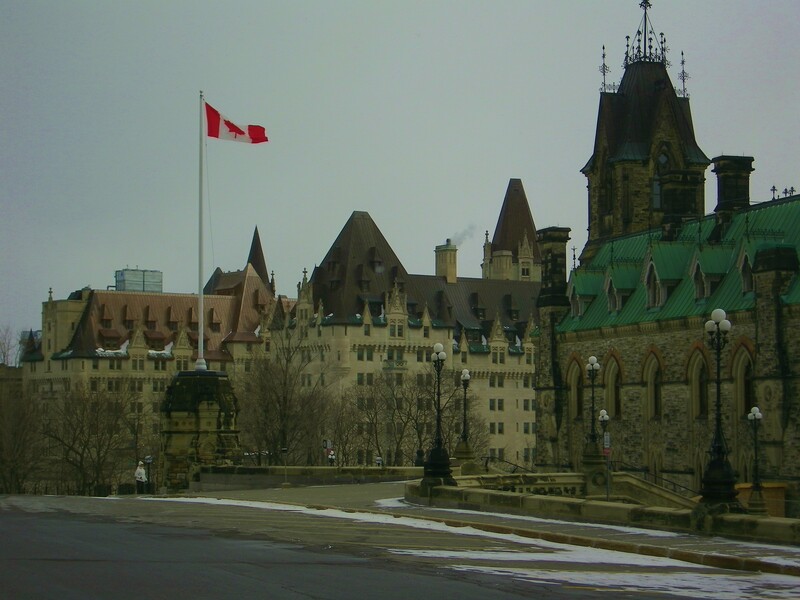 And for convenience, it doesn’t get any better – right next to Parliament Hill, at the tip of the Rideau Canal, and steps from ByWard Market. It’s a part of Ottawa that I had to experience. But I’ll probably never stay there again. I think it was a childhood dream best lived once. As we waited for the Canal to refreeze, we took a trip to the Science and Technology Museum, which had an awesomely grotesque exhibit on the Franklin Arctic expedition disaster, and a horrifying video of eye surgery that is forever burned into the nightmare section of my brain. (And no, I do not have photos.) Yeah, there was not-so-gross stuff as well, but who remembers that when you have corpses and body parts? And between the eating and the drinking and the not swimming, did we actually achieve what we had originally set out to do all weekend? 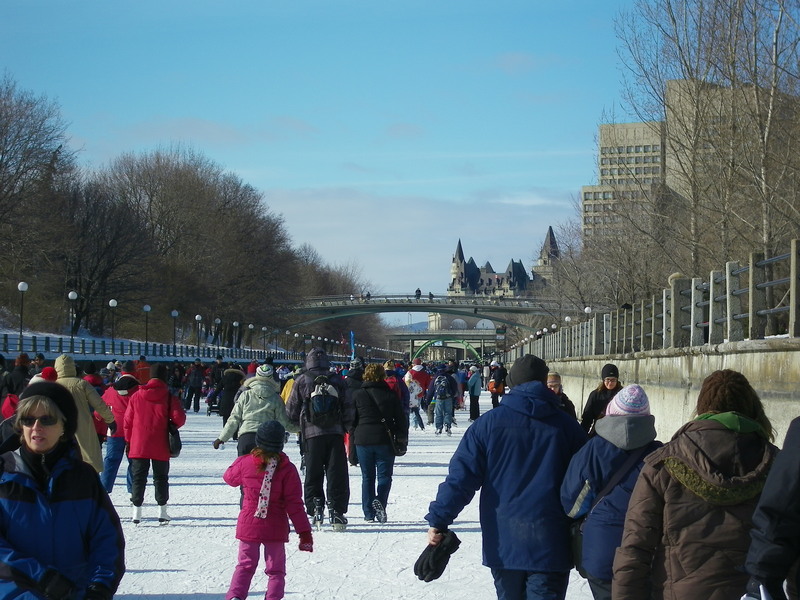 Did we ever make it onto the Rideau Canal Skateway? Yes! By Sunday morning, half of the Canal was open, although it was cracked and lumpy from the flash melt/freeze a few days prior. Still, we skated as far as we could, gorged ourselves on beaver tails and hot chocolate, and got to experience the happy-go-lucky family festival that I have come to love. Sure, I didn’t get much sleep in the hotel, and the ice sculptures had all melted, and countless other things had gone wrong. In almost every way, it wasn’t quite the vacation we had anticipated. But gliding down the Canal – cracks and lumps and all – made my weekend.